No, this is not at all a bad joke, neither is it a rumour. Real Madrid fans are actually booing Cristiano Ronaldo! During the La Liga giants’ 2-1 victory over Malaga, the Portuguese superstar was jeered on several different occasions. This was not an abuse from blunt Real fans watching on TV or ranting angrily about nothing on Twitter. These were actual Real Madrid supporters present inside the Bernabeu on a matchday. Only four minutes had been played when a poor touch from Ronaldo was welcomed with constants jeers and whistles. There were also less than positive reactions from the stands when CR7 wasted a series of chances later on. 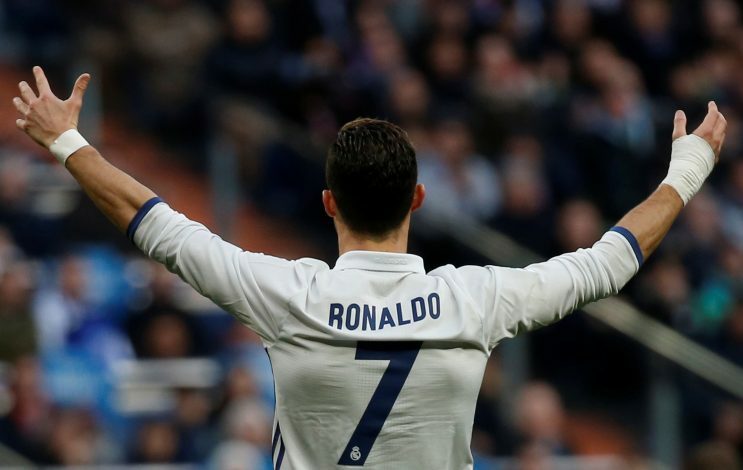 While Ronaldo was certainly not at his best during the win against Malaga, the idea of Real fans booing, jeering and whistling at their star man is so bizarre, it almost looks too ridiculous to be real. Spanish football expert Guillem Balague, while writing for Sky Sports, has shed some light on the struggles of Ronaldo at Real Madrid over the past few weeks. After a 40-game unbeaten run, the La Liga leaders have now lost twice – once in the league, once in the cup – and survived a Malaga scare last weekend. Four of their last six goals have come from defenders, and Sergio Ramos is their second highest goalscorer this season behind Ronaldo, who hasn’t put the ball into the net in his last two outings. But Ronaldo’s work ethic on and off the pitch has never raised doubts before, but is the Portuguese star beginning to take a casual attitude in Madrid? His not-so-subtle reactions to teammates scoring instead of him are also not too endearing either.